(2017/Heybale) 10 tracks (30:34) digipac. 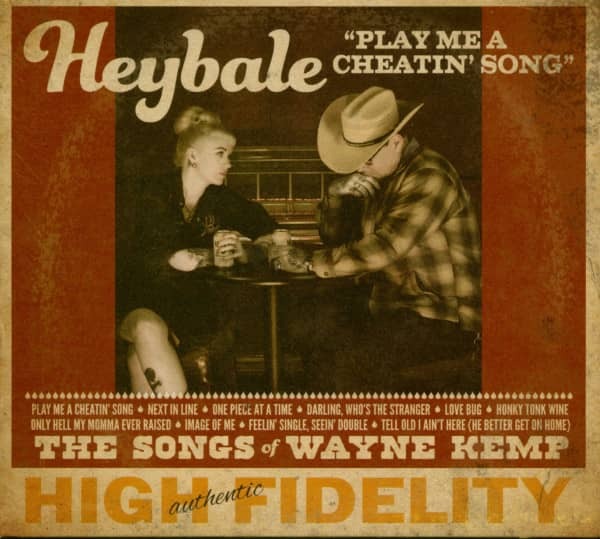 Heybale consists of some of the all time great country pickers including, Dallas Wayne(acoustic guitar and vocals), Eaerl Pool Ball (piano &,vocals), Kevin Smith (acoustic guitar &, vocals), Red Volkaert (bass, electric guitars &, vocals) Tom Lewis (drums, tambourine, brake drum). Also included although not a member is the superb steel guitar work by Tommy Detamoure. 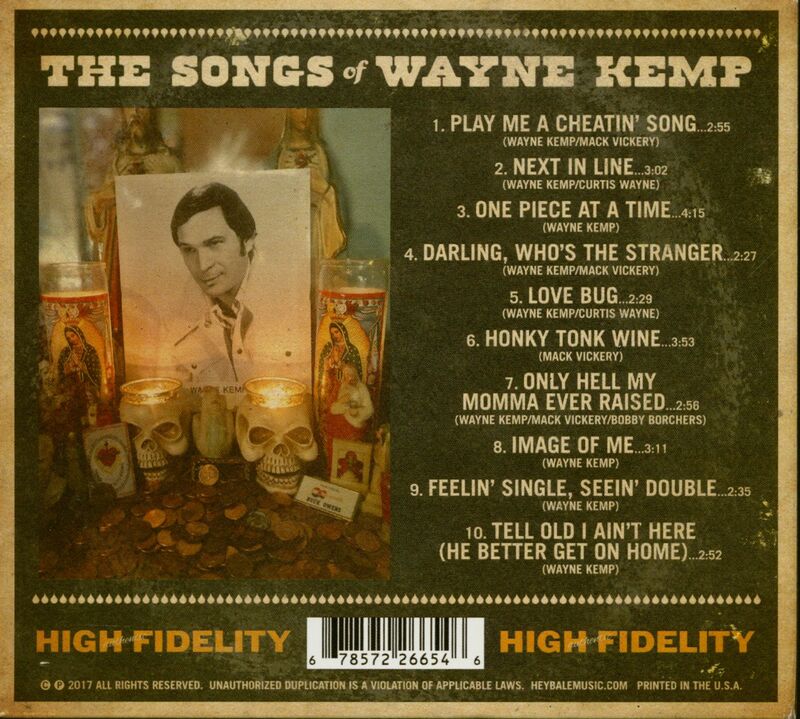 'One Piece At The Time' (a hit for Johnny Cash), 'Honky Tonk Wine' written by Mack Vickery but a hit for Wayne Kemp, 'Next In Line', 'Love Bug', 'I'm The Only Hell My Mama Ever Raised' , and more. 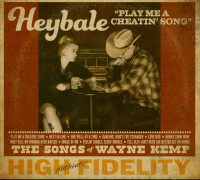 Customer evaluation for "Play Me A Cheatin' Songs - The Songs Of Wayne Kemp (CD)"